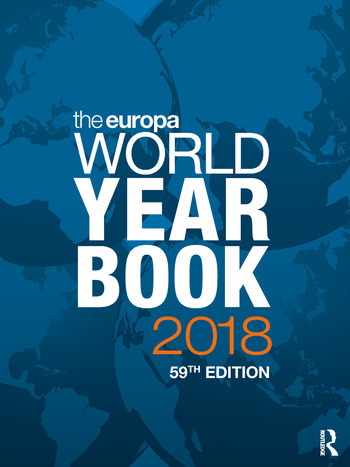 Globally renowned for its accuracy, consistency and reliability, the Europa World Year Book 2018 is your source for detailed country surveys containing the latest analytical, statistical and directory information for over 250 countries and territories. For ninety years since its first publication, the Europa World Year Book has been the premier source of contemporary political and socio-economic analysis for library reference shelves, offering timely information with a global reach. The Europa World Year Book 2018 is also available online as an authoritative and regularly-updated digital resource. For more information, please visit: www.europaworld.com.